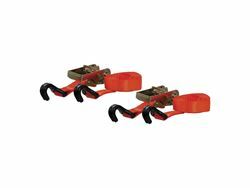 Wrapping rope around your trailer and hoping for the best is not the ideal way to secure cargo. 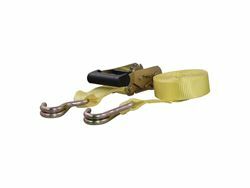 Even using a net of bungee cords can create an unsafe scenario if just one of those bungees pops loose. Using the right method to secure your cargo is an important aspect of towing that is too often overlooked. 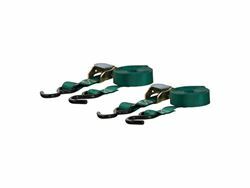 When you need cargo security that can handle the long haul, you need Curtcargo straps. 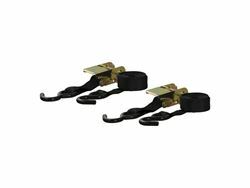 Curt offer two different types of cargo straps in a variety of colors, lengths and with various hook types to give you a complete towing solution. Curt cambuckle tie down cargo straps are a lightweight load-securing option and are especially useful when securing lighter loads and fragile cargo. 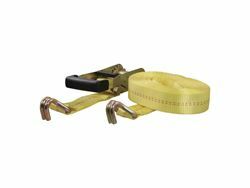 They offer a direct influence over tension when tightening the strap, making it very difficult to over-tighten the strap and crush cargo. 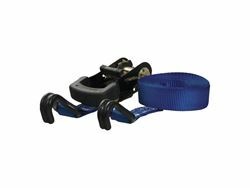 These cam straps are made of a tough, woven nylon material, designed to be highly resistant to stretching and abrasion. They have a break strength of 900 lbs. and a work load limit of 300 lbs. 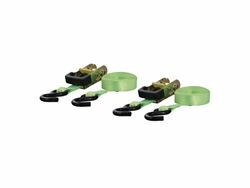 They come equipped with rubber-coated S-hooks for a secure hold and strong resistance to corrosion and wear. 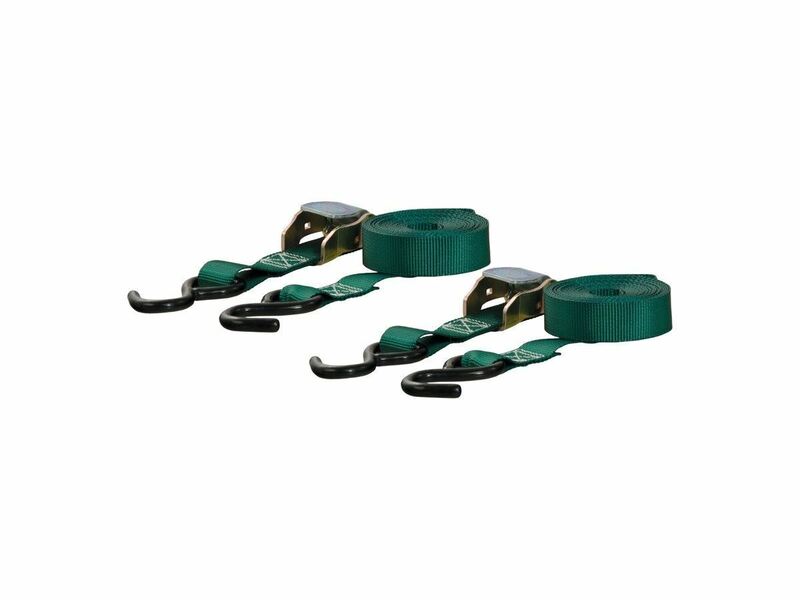 These dark green cargo straps measure a total length of 15' and have a strap width of 1". 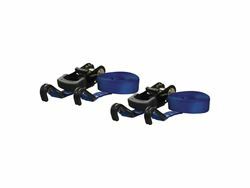 Two cambuckle straps are included in this package. 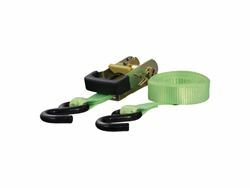 Curt ratchet tie down straps are designed to accommodate larger, heavier loads. 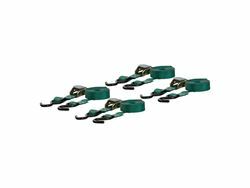 They are made from a high-strength, woven nylon material and come with a ratcheting buckle that allows for superior tension on the load. 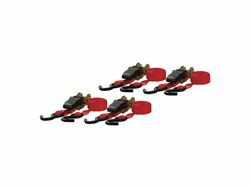 They feature a break strength of 1,500 lbs. and a work load limit of 500 lbs. 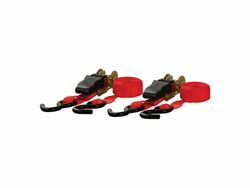 These red cargo straps come equipped with rubber-coated S-hooks for a secure hold and strong resistance to corrosion and wear. 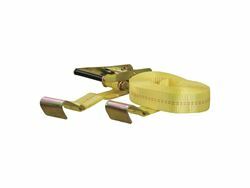 They measure a total length of 10' and have a strap width of 1". 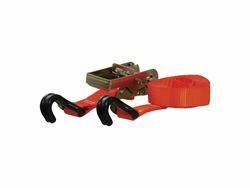 Two ratchet straps are included in this package.